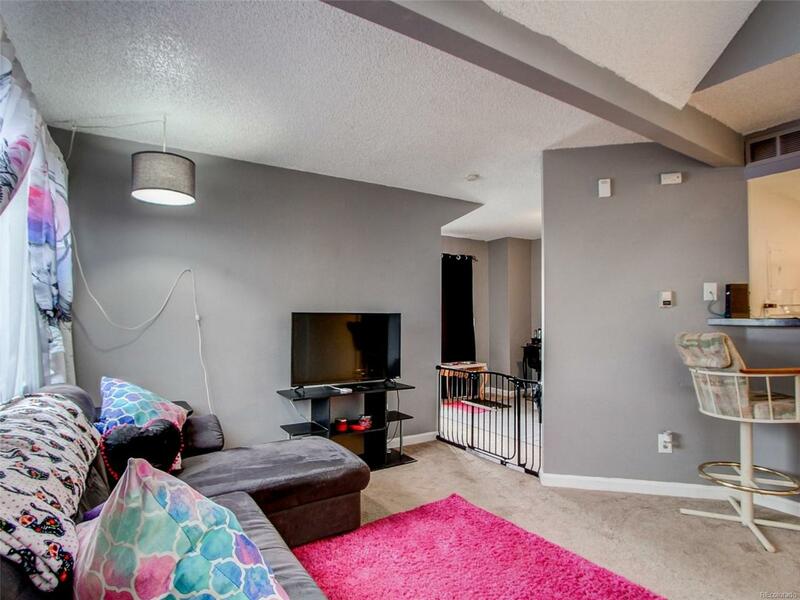 Great 1 bedroom, 1 bath condo with vaulted ceilings, skylights and a wood burning fireplace. The great room has a big feel with the vaulted ceilings, skylights, and window with lots of light. It opens to the kitchen and eat at bar. Washer and dryer are included and are hidden in a handy closet. The bedroom has a sliding glass door that opens to a private patio. The closet is extra deep for additional storage. The bathroom has an additional skylight to make it bright. Great location just blocks from shopping, public transportation, and the Social Security Administration building.